Spinosad is a biologically-produced insecticide derived from a fermentation process involving the bacteria Saccharopolyspora spinosa. It's actually a combination of two chemicals: spinosyns A and D.
It's used on a wide range of crops, in residential gardens and lawns, on poultry, as a spot treament for cats and kittens, in food handling sites, and for mosquito control in potable water containers. It's considered a natural product, and the USDA National Organic Program has approved its use in organic production and gardening. 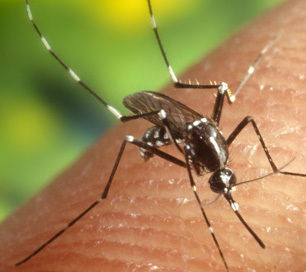 Spinosad is most likely to arrive in water through containers that have been treated for mosquito control. Spinosad is of low toxicity. It has a pronounced neurotoxic effect on target pests, but similar effects did not appear in either acute or short-term animal studies on mammals. Animal studies of long-term exposure to large amounts showed increases in liver and thyroid weight, and effects on the lungs, lymph nodes, stomach and tongue. It's not a likely carcinogen. Spinosad has been shown to adsorb readily to soil and organic matter, so it should be treatable with activated carbon. The EPA and WHO do not have recommended treatments.